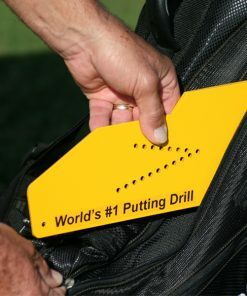 The World’s #1 Putting Drill takes the guesswork and hassle out of practicing the two-tee gate drill. 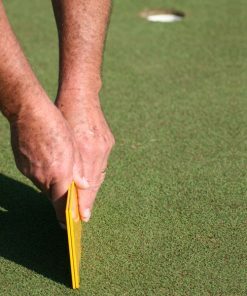 It makes it easy for you to perfect your stroke. 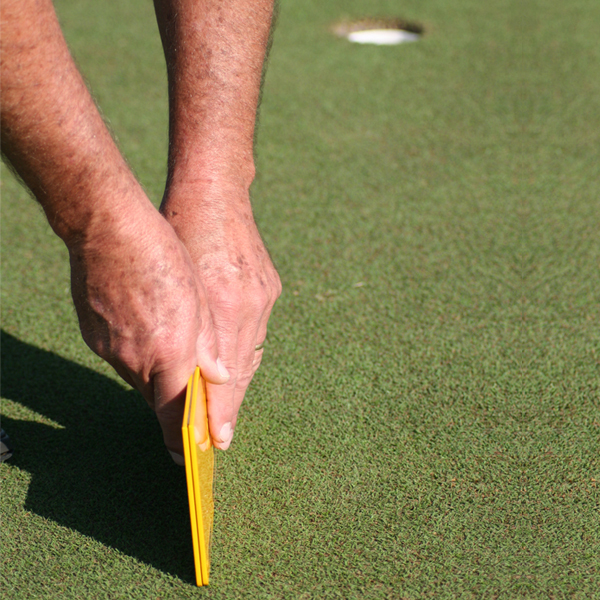 You have seen this drill in magazines and on TV, and you may have tried to copy it yourself on the practice green. 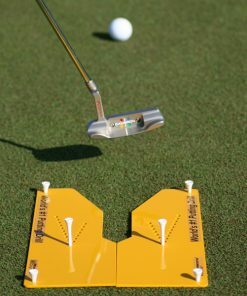 However, it is nearly impossible to set up two tees perpendicular to the line of the putt and just slightly wider than your putter on a consistent basis. 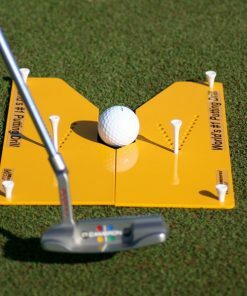 Even if you are successful in your set up, after the first time you accidentally strike a tee, you have to go through the time-consuming set up challenge all over again. 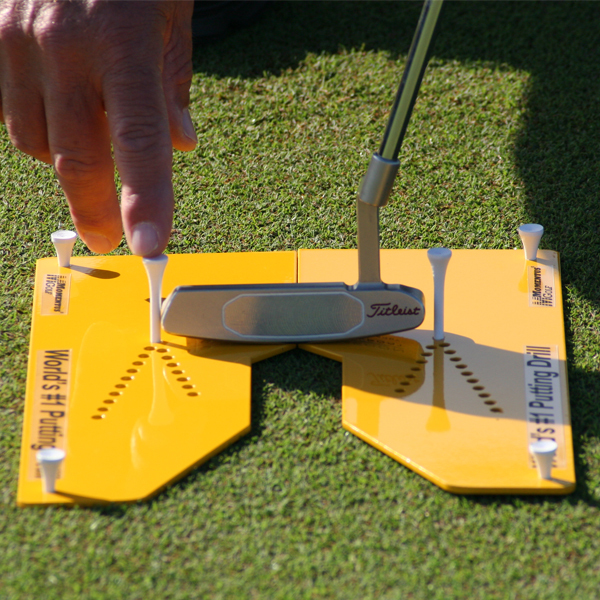 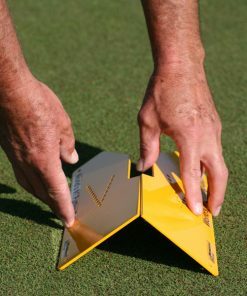 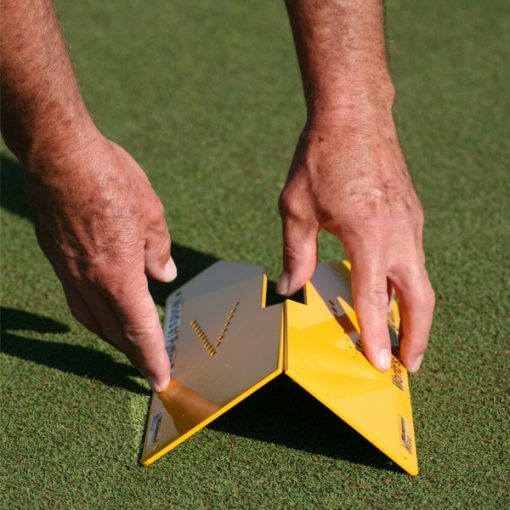 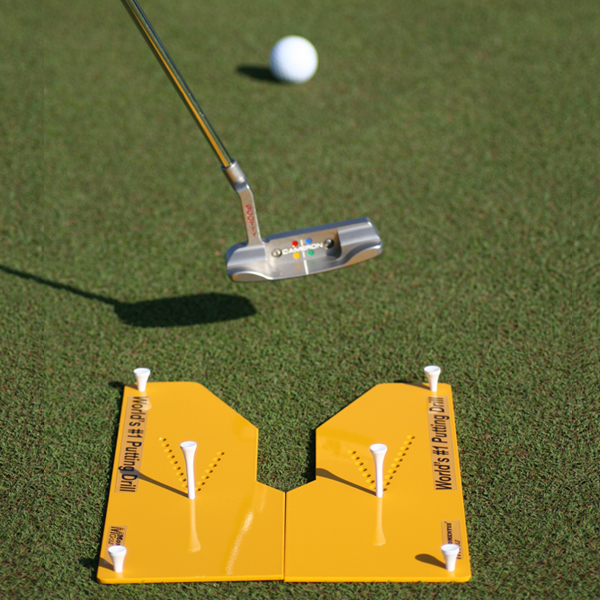 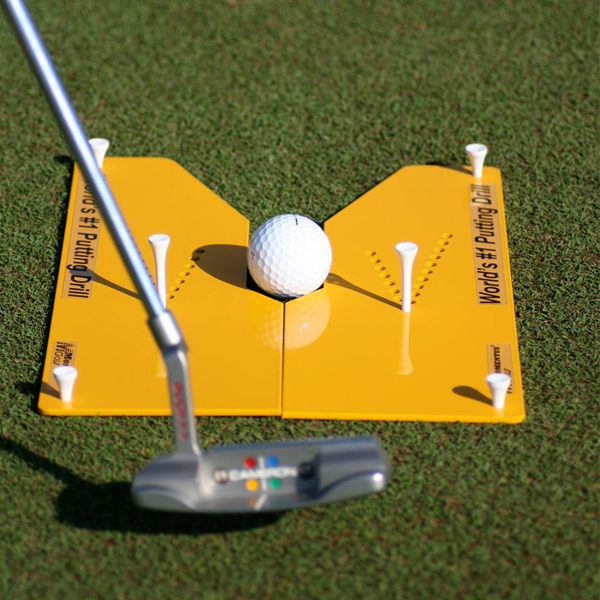 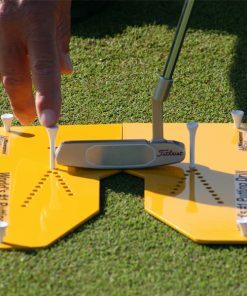 Simply align and anchor the World’s #1 Putting Drill at the center of the hole on a straight putt, place tees slightly wider than the width of your own putter and start practicing like the pros. When you are finished, fold the Drill in half and place it in your golf bag for future use! 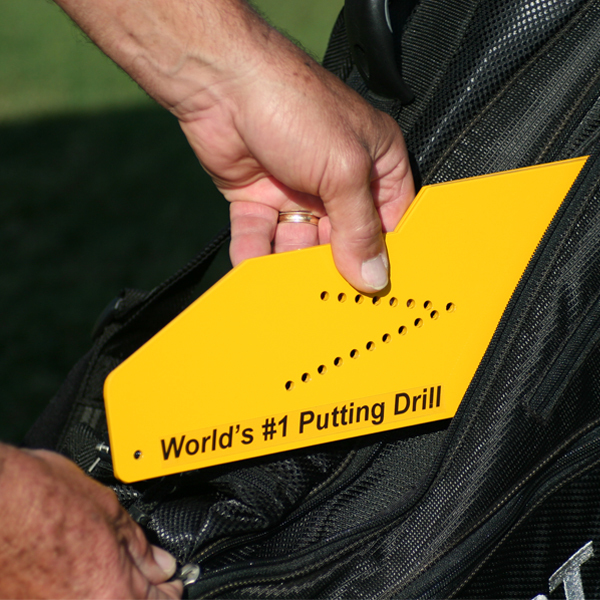 The World’s #1 Putting Drill makes setting up the two-tee gate drill a snap. You’ll be hitting putts through the World’s #1 Putting Drill in seconds as you perfect your stroke for making more putts the next round you play!